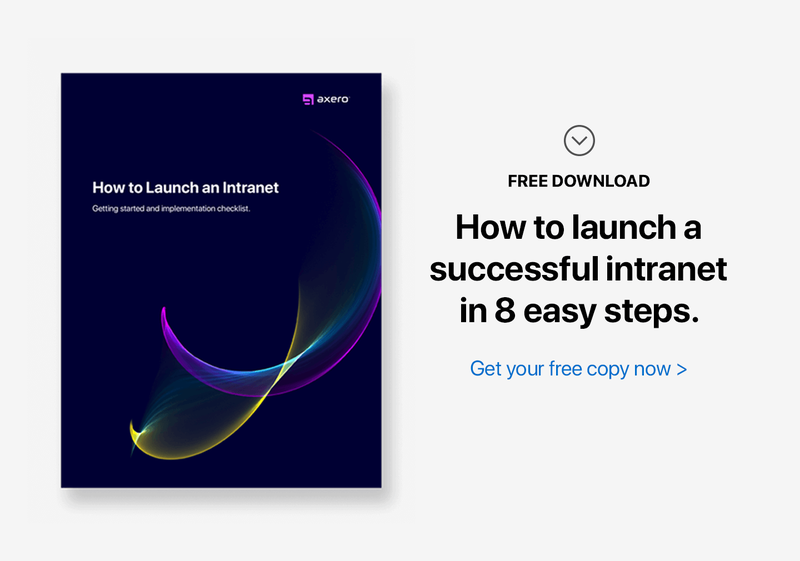 Launching social intranet software to improve company communication and employee engagement is one of the smartest moves that modern organizations can make. They go hand in hand. Technology has surely changed the way professionals approach the workday for the better, allowing individuals to collaborate and reach important solutions without ever having to be located in the same room. If there's one thing that can get in the way of businesses meeting their goals, it's coming up with ways to keep everyone informed about what's happening each day. This problem becomes more pertinent as an organization grows in size. In many cases, employees that work at large companies have never met or even interacted with some of their colleagues, so it should stand to reason why keeping track of community-wide daily happenings can be so difficult. Just as technology has made working remotely a more realistic concept than ever, how professionals stay updated on what other employees are working on are shifting as well. Colleagues no longer need to send personal emails to each other to inform and maintain a level of transparency. With social intranet software like Communifire, the all-important task to improve company communication is handled automatically. Social intranet software is filled to the brim with useful features that you can use to streamline business processes. From and messaging and sharing calendars to blogging and creating wikis, the possibilities are nearly endless in regards to how workflow can be improved. One of the most useful features for active intranets created with Communifire, is the daily activity email system. It's a way to stay updated on daily happenings without even having to login to your intranet. In the past, management has used internal email newsletters in order to inform employees about important news, announcements, tasks, responsibilities, and everything else that falls under this umbrella of communication. Creating a daily newsletter from scratch can be exceptionally time consuming, and it often requires a solid hour or two of someone's time (every day) to properly complete the job. As you might expect, this can lead to wasted money, and the resource heavy nature of this process is felt organization-wide. Communifire allows you to create many spaces or groups within your intranet, which are used as segmentation tools for logically and contextually separating teams, projects, content, and tasks. New Content is Created - Many organizations that use Communifire find it an excellent platform for posting content and building a knowledge base. When blogs, wikis, and articles are created in the system, they can be shared both internally and externally, allowing for a number of potential uses. When mountains of content are being created, keeping track of new information can be a challenge. Daily activity emails in Communifire keep you informed about new content that has been uploaded to your space, ensuring you and your team never miss a beat. Existing Content is Updated - Communities created with social intranet software are constantly in flux, and updates should be expected from time to time. To keep any potential disruptions at bay, it's essential to find a way for employees to stay informed of updates to the projects they're working on. Communifire's daily activity emails are an excellent platform for communicating updates to members of your spaces, whether they be simple or complex in nature. New Comments are Made on Content - One of the most important features of any social intranet is the ability for employees to comment on each others' posts, files or documents. Comments are an excellent way to provide feedback, show approval, share ideas, and everything in between. Communifire keeps you and your team informed of comments that are made throughout the day so that you don't have to manually do so on your own. People "Like" a Piece of Content - Just as comments can be extremely useful, so too can "likes." Anyone familiar with social media will be able to easily understand the process of "liking" content, and analyzing these actions can help you and your employees gain important information about what makes your social intranet tick. Every intranet activity email your receive from Communifire will update you on the day's "likes," which means you and your staff don't need to worry about tracking this down yourself. People "Rate" a Piece of Content - Similar to "likes" and comments is the rating system in Communifire. Rating helps you to identify high-quality content and keep it at the forefront of the conversation. This is exceptionally helpful when it comes to onboarding employees and creating a hierarchy of helpful, internal documentation. Ratings can (and should) be made on a regular basis, and Communifire ensures that you never miss anything important by pointing out content that has been rated in each space. Aside from Improving Company Communication, What are the Benefits of Daily Intranet Activity Emails? 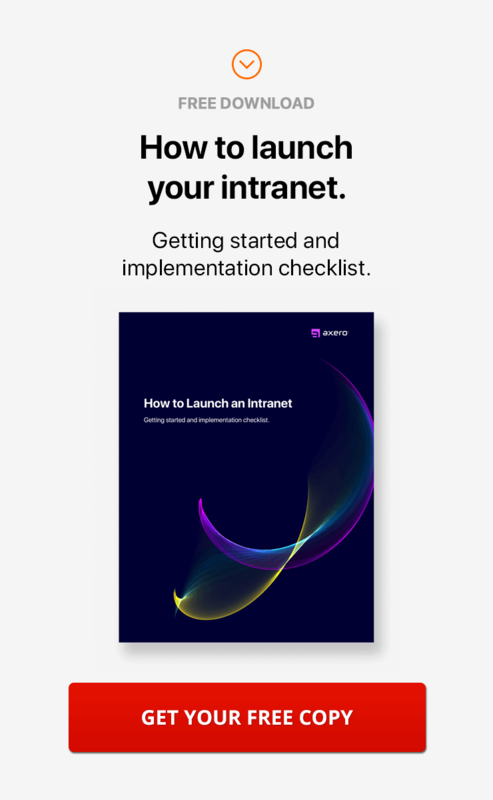 A major benefit of intranet activity emails are that you don't even have to log into your intranet to stay up-to-date with what happend or is happening, day-to-day. When you have employees that are well-informed on what's going on within your intranet each day, you can expect to see a host of other benefits that most likely would not exist otherwise. Once everyone on your team gets a strong handle on how to use daily activity emails to their advantage, the following perks become crystal clear. Employees that don't have a strong handle on daily happenings will feel left out, which gets in the way of your goals for success. Daily digest emails in Communifire ensure that confusion is kept at bay as best as possible, clearing things up and clarifying exactly what your staff needs to know to tackle the day to the fullest extent. One of the greatest things about social intranet software is just how versatile it is. Many processes that may have previously cost your business a small fortune can be handled directly within Communifire, saving you not only money, but time as well. In this regard, social intranet software makes keeping your staff updated easier and less expensive than other options. When you have many processes combined into a single platform, life gets easier for everyone in your organization. Management in constantly looking for ways to improve company communication and workflow throughout the day, as saved time can lead to many benefits. As technology continues to have an incredibly strong presence in how modern companies operate, automation is being integrated more and more, whether it be in the form of automated lighting, software or otherwise. Taking advantage of daily intranet activity emails means you can take a process that has been traditionally performed manually and automate it, saving countless hours in just a short span of time. When you're sending out automated updates to your employees, one of the most important things to avoid is information overload. Large companies deal with this issue all the time, which is just one reason why segmentation of updates is so important. Communifire's daily digest emails are specific to the space they're being sent out from, ensuring that overlap between teams doesn't become an issue. As a result, even the largest companies can make good use of intranet activity updates without having to worry about bogging-down employees with excessive information. It's really on a "need to know" basis, based on the spaces they're a part of. There are benefits associated with working face-to-face with others, but in many cases, doing so is not an option. The right tools are exceptionally important to have at your disposal when managing remote employees, yet this is often one of the biggest obstacles faced by small start-ups. Social intranet software like Communifire has many features that help connect staff members in ways that were next to impossible years ago. 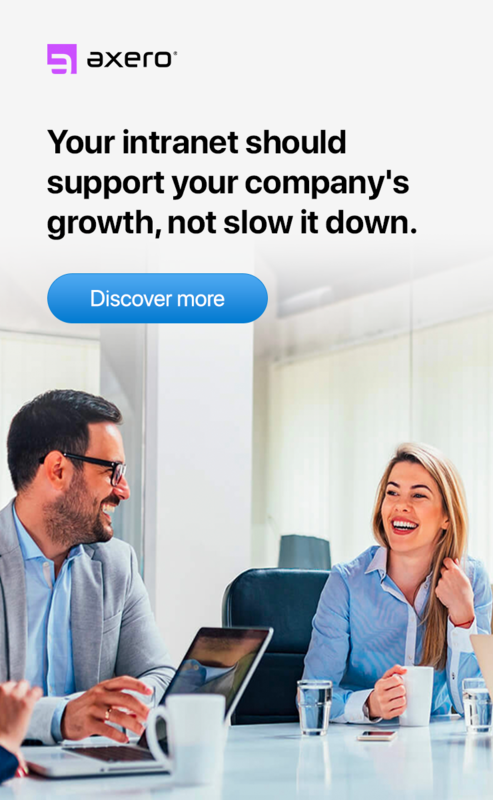 Daily activity emails can make a difference in this regard, and their simplicity and automation makes them even more enticing to businesses looking for solutions to bringing colleagues together, regardless of where they may live. Go Green. No paper memos or printed materials. Anyone who has worked in the professional sector for some time knows that paper is being used less and less as each year passes. The days in which internal newsletters were distributed in paper format are over, as businesses become increasingly aware of how they impact the environment on an annual basis. Daily intranet activity emails not only keep you fully involved in what's happening within your social community, but not a single piece of paper is wasted in the process. Providing great customer service should be top-of-mind for anyone in a modern leadership role. It doesn't matter what type of products or services you're creating -- serving your customers in the best way possible is essential and should never be overlooked. Because daily digest emails assist in tracking cases and customer support tickets, staff members that handle customer relations will be made aware of whatever issues may need to be tackled. Enhanced customer service is never a bad thing, especially when it's made easier with automated daily digest emails. Fostering an enriched office culture is very important. This being said, doing so can be a challenge at times, which is especially true for businesses that don't actually have a brick and mortar office. Traditional and virtual companies can both benefit from using Communifire to send out daily updates, as this gives every employee who participates in the conversation a way to inject their own voice. This will surely improve company communication. It's important that each member of your staff feel a strong affinity to your organization, as this is the only way to improve employee engagement. Establishing brand identity isn't always easy, but there are a number of ways you can improve your chances of success. Since social intranet software allows for deep customization to best fit your business, it can be an excellent vehicle for furthering internal branding. Communifire allows you to brand your daily activity emails with your own logo, company colors, style, layout, copyright notice, and more. Send out daily activity emails, and you'll be broadcasting your brand identity to your employees every 24 hours. To the point of brand identity, you also want to do whatever you can to ensure your staff's morale is high. There may be slight differences between employee morale and employee engagement, but the two are heavily intertwined. Daily activity emails can not only improve company communication and the morale of your staff by keeping them focused on the tasks at hand, but you can use these emails to congratulate employees, celebrate achievements, or dispense praise in whatever ways you see fit. 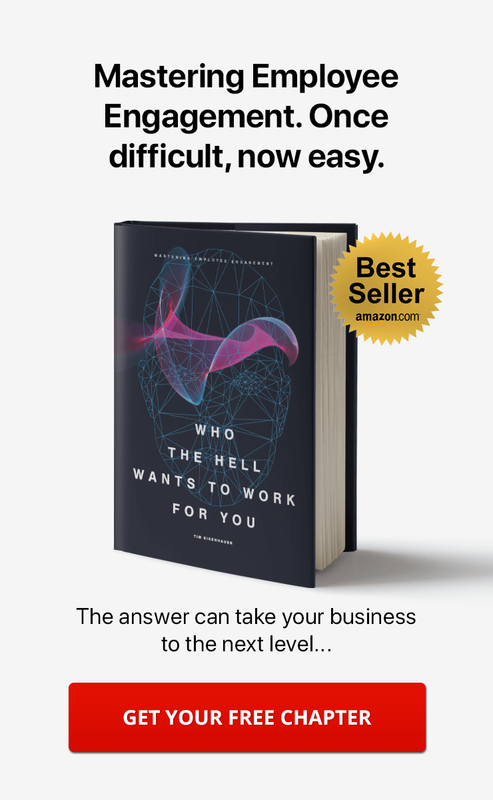 Many CEOs and managers think an employee's productivity levels can be used to measure how good they are at their job, however, this is not something that's easy to do ... which is why the more you can do to support a productive work environment (be it virtual or otherwise), the more success you're likely to see. Daily digest emails provide the necessary reminders to keep your staff on track. 12. Turns Your Email Inbox Into a "Notification Center"
Email may be one of the most commonly used tools for communicating today, but that doesn't mean it's the best. Juggling private and group conversations via email can lead to confusion, and the resulting problems range from overlooked details to delayed timeframes and missed deadlines. Since Communifire offers a robust intranet chat and messaging platform, your email inbox can transition into what effectively becomes a notification center, clearing up any confusion that might otherwise result from wading through an ocean of emails. Daily activity emails are useful once fully incorporated into how you and your staff go about the workweek. As with anything else, you have to do what it takes to ensure you're getting the most out of using this feature for best results. Fortunately, doing so is a lot less difficult than you might think. In some scenarios, you may want your daily digest emails to have a specific look. Simply navigate to your administration dashboard, choose system > email templates and then find the template titled: Communifire.Space.DailyDigestEmail. From here, you can change what gets sent out to your employees and choose whether or not you want your daily intranet activity emails to be delivered as text-only or in HTML format as well. Understanding how subscribing works is essential to getting the most out of daily activity emails in Communifire. Whenever a new member joins a space, they are automatically subscribed to that particular space's daily digest. Users can choose to opt-out and unsubscribe if they see fit, by using the link located towards the bottom of the left-hand navigation menu. If one unsubscribes accidently, resubscribing can occur by visiting that very same part of the menu. When a user becomes a member of many spaces in your social community, it should stand to reason that he or she will end up receiving daily updates for each space they are a part of. Important to understand, is that updates for all spaces are incorporated into a single daily digest email blast. Users only receive updates pertaining to spaces that have seen activity that day, ensuring that no excess clutter gets in the way. Since your staff will likely be receiving daily digest emails each day, it's important to do whatever you can to get people to open them. As anyone who subscribes to regular email updates outside of work knows, it can sometimes be easy to overlook a daily email when it starts becoming familiar. Reminding your staff how important it is to check their daily digest emails will decrease the chances that anything important gets overlooked, and you can even offer incentives to motivate employees to take action. Every social intranet is going to experience certain types of trends, some positive and some negative. Since daily digest emails offer a close look at what's going on in your community, they serve as signposts for any positive or negative trends that may be affecting your organization. You can take this route to identify any problems that may be occurring, or perhaps take note of things that seem to be benefiting the community ... both are useful pieces of information that will guide your organization's future progress. Daily activity emails in Communifire may seem fairly simple in nature , but once you learn how versatile they are, a great deal of options open up. Take the time to nurture your staff and integrate daily email notifications in your workweek and you'll improve company communication and increase employee engagement — and the benefits will materialize more quickly than you might think. Check out this blog post for some more tips on how to improve company communication.